When I came to the United States, I had to give up my pets since it was too risky for them to fly for such a long distance. To make due, I used to hang out around pet stores looking at the dogs and cats until an employee inquired about my frequent visits. That was how I came to learn about pet fostering programs within animal shelters. The Kansas Humane Society (KHS) in Wichita offers the opportunity to volunteer within their headquarters, as well as to take in animals in need of extra and individual care. 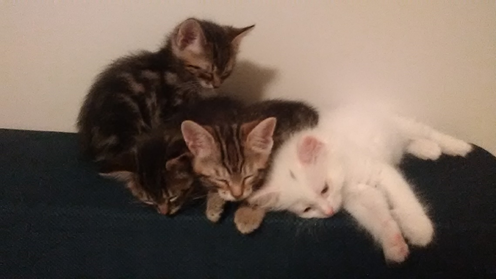 The KHS pays for medical expenses, food, litter, and any other additional requirements. All I needed to do was provide a foster home, and give my timeand attention to a pet in need of that final push before being fit for adoption. The varieties of pets a are versatile and so it helps to be flexible: dogs, cats, rats, rabbits, ferrets… anyone of these animals can show up on the foster list. Some need a home to gain weight before spaying, while others require regular baths and medication to get rid of ringworm. During kennel cough season, plenty of dogs need a home to be medicated without spreading the virus to other dogs. During kitty season, neophyte kittens need care and bottle feeding until they are two months old and ready for adoption. 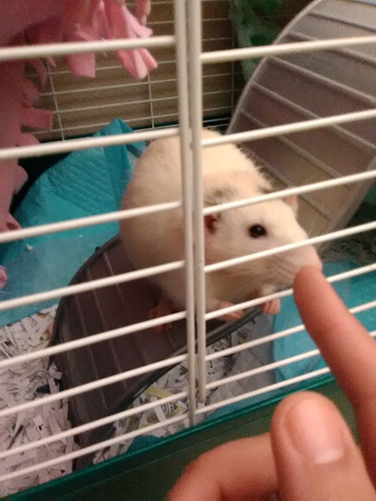 Sometimes the assignments are less than a week: a pet may have accidentally scratched a volunteer and is therefore to be quarantined at a foster house. On other occasions, the assignment can last three months, depending on the pet’s medication or young age. The foster coordinator makes sure to accommodate the foster volunteers so that you can always adapt your volunteering to your schedule. Since last February, I have recevied my training and certification as a foster volunteer, and I’ve had the pleasure and incredible opportunity of fostering different breeds of animals with peculiar personalities and stories.. I’ve had the sweetest pitbulls, an incredibly rowdy boxer that made the news, smart rats, and affectionate social cats. 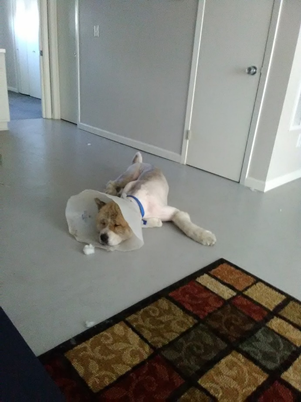 My first foster was a 100 pound Akita, Marshall, who spent ten days with me in his cone and easily reached the top of my fridge. He was a home wrecker if left by himself and an affectionate pillow during nap time. I cried the day I had to bring him back. Nine months later, while talking to an Uber driver, I found out he adopted Marshall. Our shelter has had an amazing year in rescue and adoption numbers, and many within the Wichita community have given plenty of different resources to see these animals thrive. But when one gets to experience this unique emotional dimension that is to connect with another life form that has a soothing spirit and an amazing kind of intelligence without the need for verbal language, it becomes crystal clear that it is out of that need to connect with life and to fulfill a duty towards an innocent and fluffy source of relief that ultimately animal lovers do what they do. 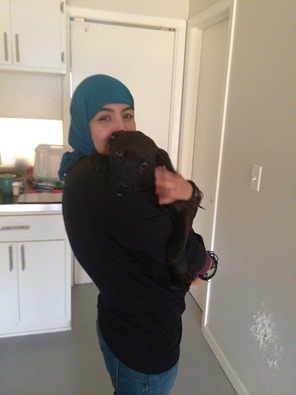 Khadija is studying towards her Master’s in Aerospace Engineering at Wichita State University. She is from Morocco.